The space agency announced Wednesday the InSight mission’s launch has been rescheduled for May 5, 2018, the next time Earth and Mars are properly positioned to permit a direct route to the red planet. The two-year delay is expected to increase the cost of the mission, but the agency said the amount of cost growth is still being assessed. 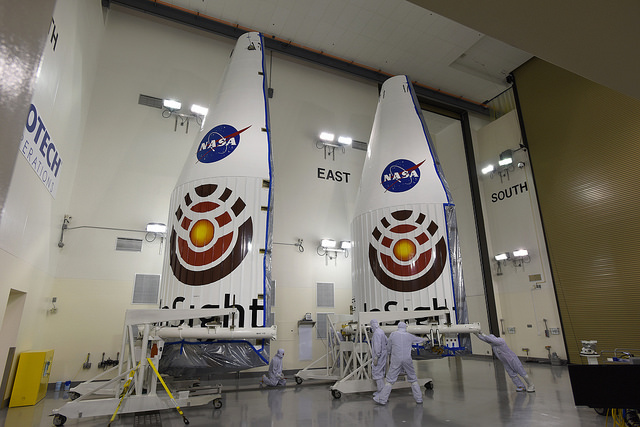 NASA may owe a penalty payment to United Launch Alliance, the InSight’s mission’s launch provider, after missing the contracted launch window that opened March 4. Officials in December decided to suspend preparations for launching InSight this year after engineers repeatedly had trouble sealing an airtight vacuum enclosure containing sensors to detect and study seismic tremors on Mars. 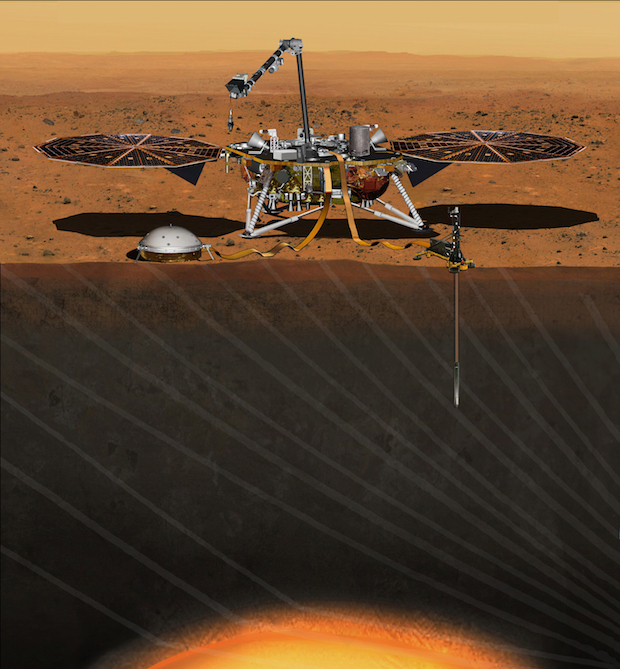 InSight’s mission focuses on investigating the interior of Mars by measuring quakes and the flow of heat from the red planet’s warm interior reaching the surface. 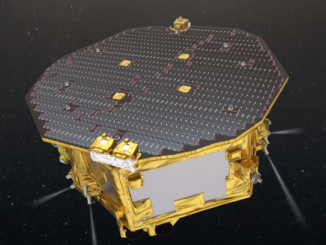 The seismometer instrument aboard InSight is managed by CNES, the French space agency, under an agreement with NASA and the InSight science team. Bruce Banerdt, InSight’s principal investigator at NASA’s Jet Propulsion Laboratory in California, said the mission’s flight plan will likely remain unchanged for the 2018 launch opportunity. InSight will blast off aboard ULA’s Atlas 5 launcher from Vandenberg Air Force Base in California, making it the first Mars mission to depart Earth from the West Coast. Previous U.S. probes to the red planet have all launched from Cape Canaveral. The positions of the planets in May 2018 will be more favorable than this year, reducing the energy boost needed to propel InSight toward Mars. The 2018 launch opportunity is the best to reach Mars since 2003. Landing is targeted in Elysium Planitia, a broad equatorial plain on Mars. The mission needs a relatively flat, boulder-free landing zone to safely touch down and conduct its experiments. JPL will assume responsibility for fixing the component that gave French engineers headaches last year, NASA said in a statement. Banerdt told a meeting of Mars scientists last week that the delay is expected to cost around $150 million, and the costs are likely to be shared by NASA and CNES. InSight managers pitched NASA leaders March 1 on a plan to fix the seismometer issue in time for the May 2018 launch opportunity, and the agency officials agreed with the proposal. The Mars lander is part of NASA’s Discovery program, a line of cost-capped missions selected through competitions held every few years. 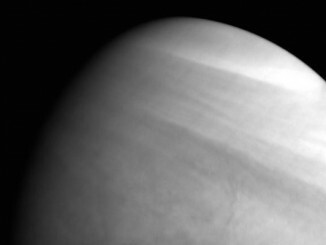 InSight won a competition in 2012, besting proposals to send a floating scientific station to a hydrocarbon ocean on Saturn’s moon Titan and land on a comet’s nucleus. InSight’s cost limit before the delay was $675 million, including the launch. 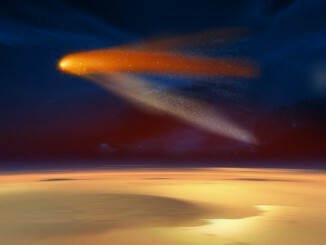 As of December, NASA had spent approximately $525 million on the project. The InSight spacecraft was already at its launch base in California when NASA decided to postpone the mission in December. A spokesperson with Lockheed Martin, InSight’s prime contractor, said the spacecraft returned to the company’s satellite manufacturing plant near Denver on Feb. 6 to be put into storage awaiting the next launch window. 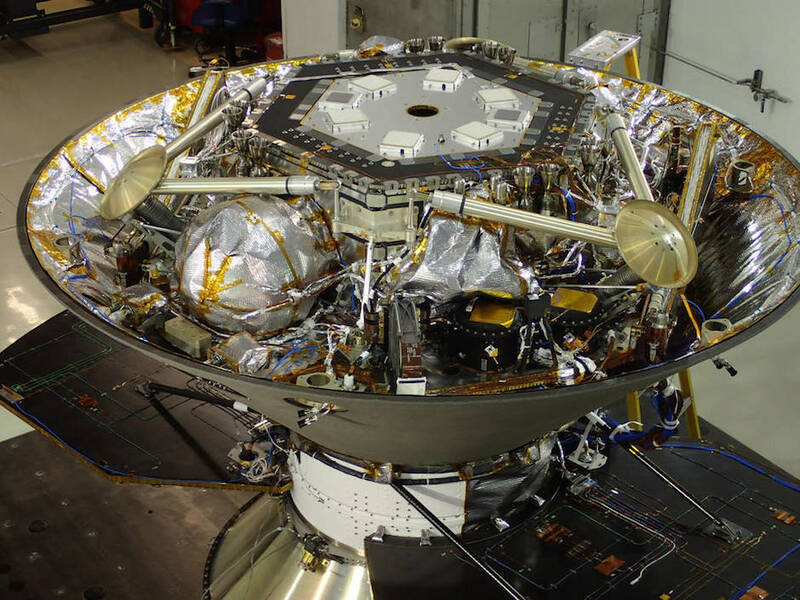 The InSight lander, its Atlas 5 rocket, and the mission’s other main instrument — a German-built underground heat probe — were all ready for liftoff this year, only to be grounded by the seismometer problem.